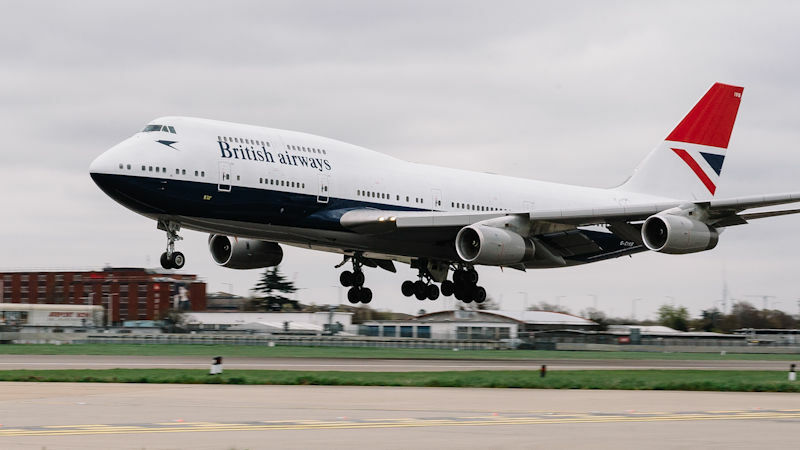 British Airways' fourth aircraft painted in a heritage livery arrived at its Heathrow base on Thursday, as part of the airline's centenary celebration year. The Boeing 747-400, freshly arrived from the paint shop in Dublin, has the Negus design originally used on the British Airways fleet from 1974-1980. The 747 is the fourth aircraft to be painted in a heritage livery, following two other 747s and an Airbus A319. The four aircraft will retain their retro look until they are retired from service over the next 2-3 years. The 747 has already returned to service, with its first flight to Cape Town taking off later on Thursday.